When searching for the ideal returnable and reusable packaging solutions, it’s essential that you work with a company that will devote the time, resources, and personnel necessary to meet your specifications. No matter your application, from internal transport to external shipping, Carter Associates has a proven track record of delivering. With the ability to develop custom plastic corrugated dunnage, sleeves, totes, and structural laminates, we are well-positioned to help our clients meet even the most exacting demands. In today’s post, we’re going to take a closer look at some of the solutions – and services – that we offer. Carter associates has the ability to engineer a wide range of returnable and reusable packaging solutions. Whether your application requires pallet storage, corrugated plastic sleeves, or thermoformed dunnage, we’re confident that we can meet your needs. With our virtual sampling and prototyping services, you can be confident that you’re taking the steps necessary to increase efficiency and reduce costs. Providing visual representations of your proposed dunnage, you can easily measure the benefits of our products. Our goal is to help our clients reduce costs without sacrificing product security. 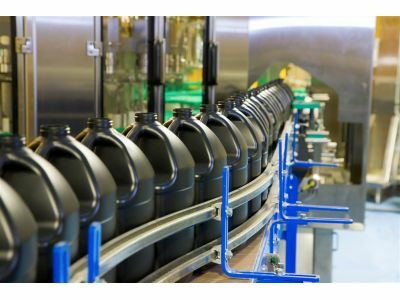 With our help, countless clients have been able to develop whole process solutions that directly address the packaging challenges that they face. No matter where your project stands – its earliest beginnings or its final stages – we’re certain that we can help you streamline your process and secure your products. At Cater Associates, we take pride in our ability to tackle our clients’ packaging issues. No matter your industry, no matter your application, you can rest easy knowing that we are devoting the time, attention, resources, and personnel necessary to your project. If you’ve been searching for a new provider of returnable and reusable packaging, we encourage you to reach out to us today.